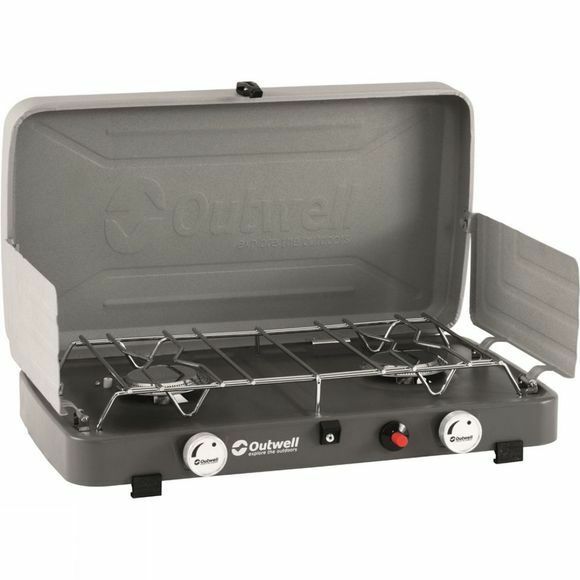 The Olida Camping Stove from Outwell is a versatile, two-burner stove. 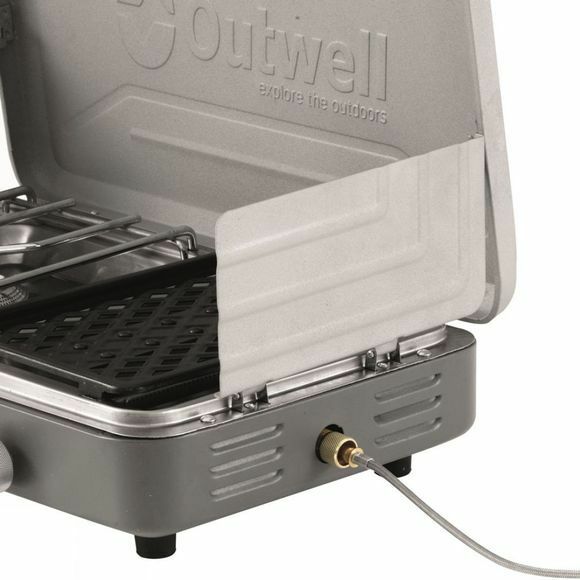 Made from stainless steel, it is designed to stand up to rigours of camping trips. The lid doubles as a windshield and the two smaller side shields lock together so you don't have to worry about the wind wreaking havoc on your cooking and food. With the included hose and regulator, simply screw in a standard EN417 threaded gas cartridge off to the side of the stove for safety. Cooking is effortless thanks to the built-in piezo ignition system so there is no fiddling around with matches and the two burners can be controlled individually so you can boil water on one and simmer chilli on the other.